Barriers to multimodality therapy (MMT) completion among patients with resectable pancreatic adenocarcinoma include early cancer progression and postoperative major complications (PMC). We sought to evaluate the influence of these factors on MMT completion rates of patients treated with neoadjuvant therapy (NT) and surgery-first (SF) approaches. We evaluated all operable patients treated for clinically resectable pancreatic head adenocarcinoma at our institution from 2002 to 2007. Rates of MMT completion, 90-day PMC, and overall survival (OS) were evaluated. Ninety-five of 115 (83 %) NT and 29/50 (58 %) SF patients completed MMT. Patients who completed MMT lived longer than those who did not (36 vs. 11 months, p < 0.001). The most common reason that NT (11 %) and SF (26 %) patients failed to complete MMT was early disease progression. The rates of PMC among NT and SF patients were similar. Among SF patients, 69 % with no PMC completed MMT versus 29 % after PMC (p = 0.040). PMC were associated with decreased OS in SF patients but not in NT patients. The impact of early cancer progression and PMC upon completion of MMT is reduced by delivery of nonoperative therapies prior to pancreaticoduodenectomy. NT sequencing is a practical treatment strategy, particularly for patients at high biological or perioperative risk. This study was presented in the presidential plenary at the SSAT 2013 Annual Meeting, Orlando, FL. We thank Joel Cox for his management of our departmental pancreatic surgery database. This study was supported by the Khalifa Bin Zayed Al Nahyan Foundation and the Various Donor Pancreatic Research Fund at The University of Texas MD Anderson Cancer Center. Dr. Jennifer Tseng (Boston, Massachusetts): Drs. Tzeng, Katz, and colleagues, in this fine paper, have finally answered one of the most important questions in pancreatic cancer treatment—if only this paper were a prospective randomized trial instead of a retrospective review from a single institution with deep experience with neoadjuvant treatment. I commend you for your work that I have been following through the years and have two questions. First, in your presentation of overall survival in patients who received all components of multimodality therapy versus no multimodality therapy completion, the receipt of multimodality therapy is a time-dependent variable. In lay terms, this means that one's ability to receive all forms of treatment is conditional on surviving long enough to be eligible. Thus, the longer survival may not be caused (entirely) by the multimodality therapy, but actually the other way around—patients survived long enough to get all elements of care. In statistical terms, it means that more complex modeling may be necessary to truly determine any unconfounded effect of multimodality therapy. Second, your presentation presents us with a great deal of interesting data and survival curves (albeit with the caveat I mentioned above). However, the graph we really want to see is survival by intent to treat—those started on neoadjuvant approach, including all failures, versus those who started on a surgery-first approach, including all dropouts and failures. Can you provide those data, which would greatly support the neoadjuvant cause—or at least, bring us closer to “the truth” about sequencing strategies in radiologically resectable pancreatic adenocarcinoma? Thank you for the opportunity to discuss this interesting work. Dr. Ching-Wei Tzeng: Thank you Dr. Tseng for your insightful comments and questions. We certainly agree that patients with localized PDAC who live longer have a greater opportunity to complete multimodality therapy (MMT) and that the subpopulation that completed MMT was likely enriched with patients with favorable disease biology. We therefore acknowledged that in this manuscript we have not conclusively demonstrated a benefit to the administration of adjuvant, non-operative therapies relative to surgery alone for patients with localized PDAC. However, to the extent that several other studies have demonstrated such a benefit, attempts to maximize rates of administration of all components of MMT would seem rational. 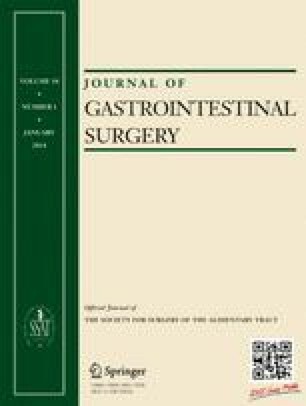 Given that a substantial proportion of patients with resectable cancer do not complete all components of MMT regardless of the sequence in which those therapies are administered, and given that the morbidity of pancreatic surgery is not insignificant, we conclude that resection later in the treatment algorithm is appropriate for at least a subpopulation of patients with localized PDAC. This conclusion is tempered in the context of this retrospective analysis, which we acknowledge is not the optimal design to establish the overall benefit of one treatment sequencing strategy over another. Indeed, in this single-institution study with limited patient numbers, we did not identify an obvious difference between the median overall survival of clinically operable patients (with resectable tumor anatomy, limited CA 19–9 elevation, and no suspicious extrapancreatic radiographic findings) treated with neoadjuvant therapy relative to that of those treated with surgery first. But it is certainly possible—if not probable—that a difference in survival exists that we could not demonstrate due to our limited number of surgery-first patients (type II error). Regardless, demonstrating that one treatment algorithm is better than another for all patients with localized PDAC was not an objective of this study. In this manuscript, we specifically sought to examine the effects of potential barriers to completion of MMT among patients with resectable PDAC. We showed that both early disease progression and PMC were adversely associated with completion of MMT, and that patients who received all components of MMT survived longer than those who did not. Furthermore, we showed that administration of neoadjuvant therapy was associated with a lower rate of early progression and ameliorated the adverse effects of PMC on long-term survival. We also showed that as a group, patients who received neoadjuvant therapy survived at least as long as those who underwent surgery first in this cohort of patients with favorable cancer biology and patient physiology. We also showed that patients who received neoadjuvant therapy but were not resected had survival similar to that of patients who underwent surgery first but did not complete adjuvant therapy. Together, these findings emphasize that we must prospectively individualize treatment sequence and treatment regimen based upon both existing and novel assessments of each patient’s personal physiology and tumor biology, not tumor anatomy alone.